Germs? No thanks, I'm busy. We're in the single digit final countdown to the official start of Spring, and most of us are already seeing Spring temperatures and sunny days. In the next few weeks people are going to start rolling out of their winter hiding spots to enjoy recreation in the great outdoors. Soon, basketball courts, playgrounds, ball fields, and picnic areas everywhere will be filling up with people out to enjoy the sunshine after being cooped up indoors all winter. Doctors offices, urgent care centers, and emergency room waiting rooms will also be filling, because all those people are bringing illness causing germs out to play with them. Those germs spread fast in their new people rich environments. Colds, stomach bugs and respiratory viruses will soon be plaguing homes everywhere. I'm sure you've heard the old adage, "An ounce of prevention is worth a pound of cure." 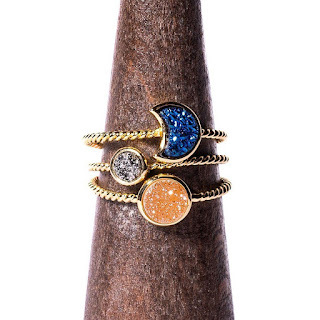 Health experts have reported that better that 80% of illness is spread by the hands. Hand hygiene reduces your risk of illness significantly. Unfortunately, not every situation provides access to soap and water. In those instances, an hand sanitizer is your friend. Purell Advanced Hand Sanitizer kills 99.99% of germs that cause illness. It's so effective, that it's the most trusted brand by hospitals than any other brand. Purell offers several products to help keep your hands clean and germ free. 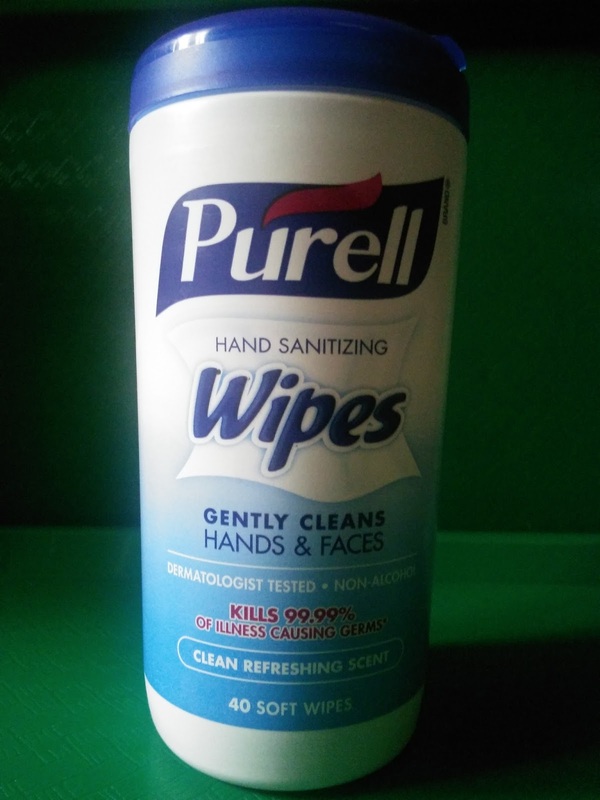 Purell Hand Sanitizing Wipes remove dirt and grime while sanitizing and can be used on hands, and face. They come in a 40 count canister t this great for use in the home, office, or classroom, and a convenient 15 count packet that slips easily into your daily bag, backpack, or car console. The Purell Advanced 8 oz. Pump is great for high traffic areas like the kitchen and living room in the home, and just about anywhere in schools and in the work place. 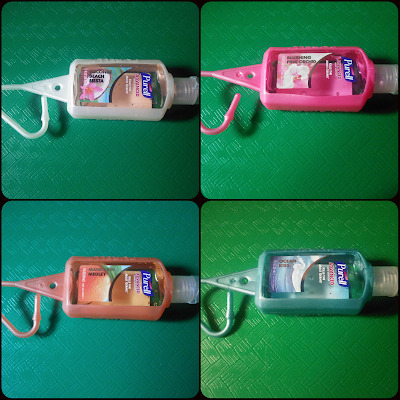 The Purell portable 1 oz. Jelly Wrap Carriers are perfect for on the go. The strap quickly and easily attaches to straps on bags, key rings, or belt loops. The whole packaging is small unobtrusive, and convenient. It even comes in four great new scents for Spring and Summer! Ocean Kiss, which is a light and airy clean scent; Blushing Pink Orchid, which has a pleasant floral scent but isn't harsh and annoying; Coconut Beach Siesta, has a scent like toasted coconut that screams summertime; Mandarin Medley, has a delicious citrus scent. 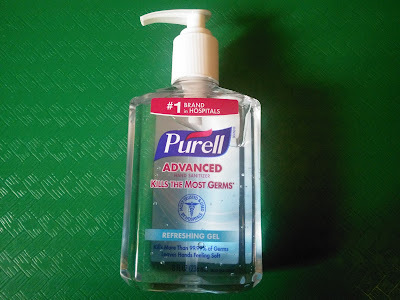 In 2016, Purell introduced the new Purell Naturals, which has the same germ killing effectiveness of 99.99% and is formulated with naturally derived ingredients. This is an EcoLogo and USDA Biobased certified product and is made from plant based alcohol and is naturally scented with essential oils. The scent is very light, and smells like fresh lemons and limes. As a mother of three, I deal with a lot of viral infections. It seemed like every time you turned around one of these kids had picked up germs somewhere, then we had to spend a week of downtime as it made it's way through the family. 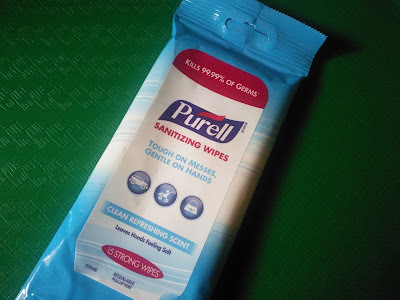 I started carrying Purell products and being almost militant about them being used. I have a packet of wipes in my purse and the car, an 8 oz. pump in the car, and a 1 oz. Jelly Wrap on my bag. We go to a lot of children's museums which are hands on, so I'm not risking it. 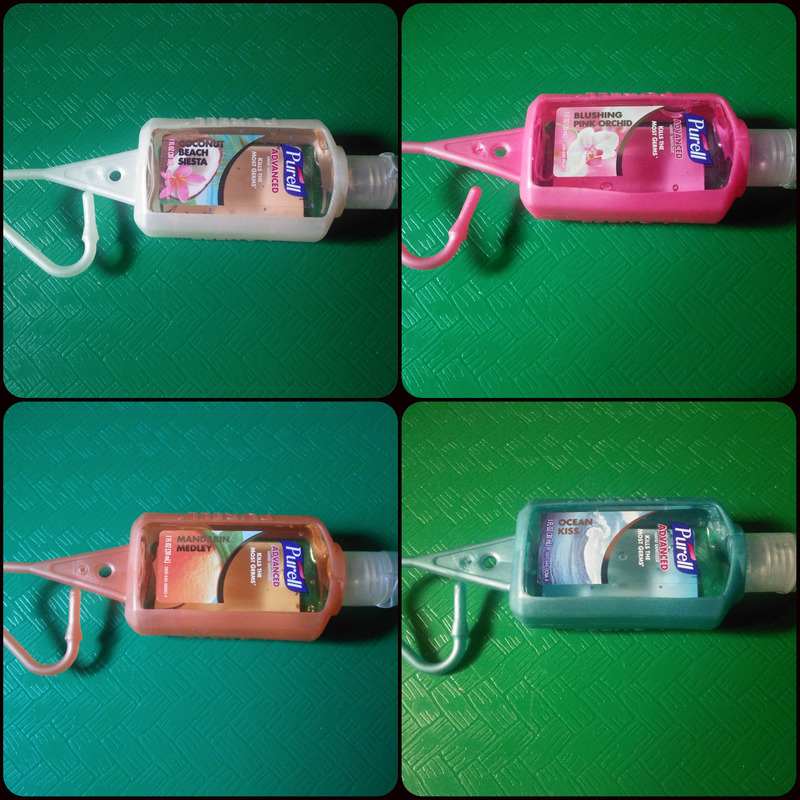 We spend a lot less time in bed sick, and a lot more time out having fun ever since I upped my sanitizer game. We are all over the Purell in our house. We go through gallons of it. I carry the little Purell pumps in my purse but haven't seen those Jelly Wrap Carriers around here - I need some of those and the Naturals too - I'll keep my eye out, thanks! I have all of those in my bag. In my country, it is a must. I love that it kills germs and smells fresh too that is really important in a germ killer! I love Purrell products! I keep them all around my house and make my kids use the wipes after school. I don't like germs at all! I keep all that on hand to keep the germs at bay ! I cannot be more excited for Spring! I love the message, it's definitely important to be prepared and what better way to do that than with all the things you'll need before going outside. I am a firm believer that prevention is always going to be better than cure. So I keep a lot of those stuff handy as well. Especially the wipes. YES on the hands washing. I keep teaching my kids this defense and wished my husband had learned. I keep a big tup of purell in my car and a little one in my purse! I didn't know they made wipes. I need to grab some. My mom always had purell when we were kids! I can't say I have it on me very often but it would definitely come in handy sometimes! The Purell Advanced 8 oz. Pump is perfect in my kitchen. We have been using Purell for years. I always have the bottle with me in my purse, but the wipes would be so great for airline trays and public tables. I need to pick that up. Love the little bottle! I always have one in my purse! 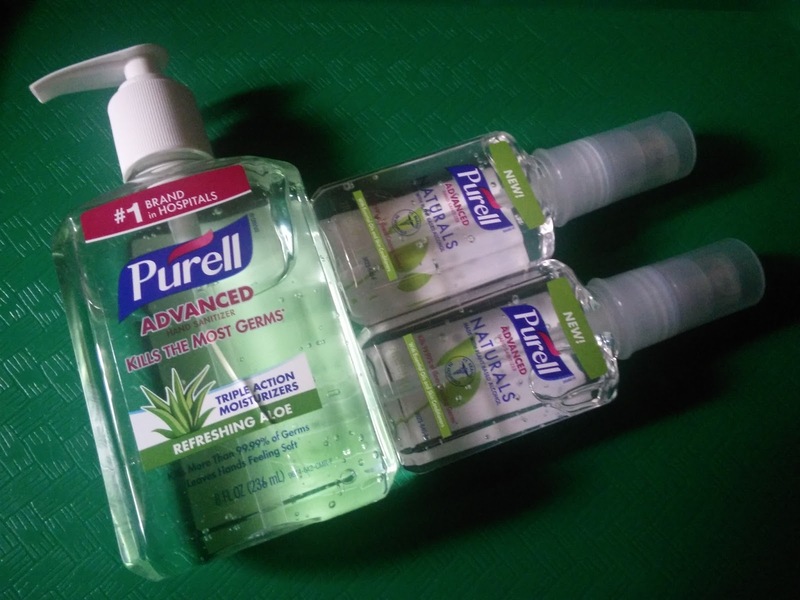 Purell is a well known company and their products are really good! I am a big fan of Purell! I love the keychain version so convenient!